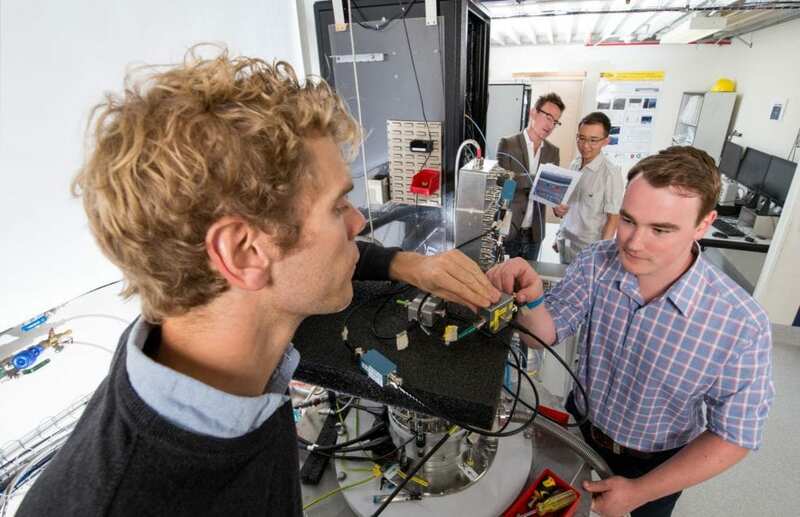 They have demonstrated an integrated silicon qubit platform that combines both single-spin addressability – the ability to 'write' information on a single spin qubit without disturbing its neighbours – and a qubit 'read-out' process that will be vital for quantum error correction. Dzurak's team had also previously shown that an integrated silicon qubit platform can operate with single-spin addressability – the ability to rotate a single spin without disturbing its neighbours. Three years ago, Dzurak's team published in the journal Nature the first demonstration of quantum logic calculations in a real silicon device with the creation of a two-qubit logic gate – the central building block of a quantum computer. "We've been testing elements of this design in the lab, with very positive results. We just need to keep building on that – which is still a hell of a challenge, but the groundwork is there, and it's very encouraging.